The Transitions Film Festival trailer 2016 is here! 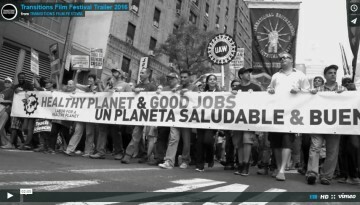 The Transitions Film Festival trailer 2016 is here! The films in this year’s festival emphasise the themes of discovery, purpose, innovation, impact and the #ideasbloom that will shape the future of our society and civilisation. International filmmaker Shalini Kantayya to open Transitions Film Festival 2016! Award winning filmmaker and eco-activist Shalini Kantayya (USA) will open the 5th annual Transitions Film Festival with the Australian Premiere of her feature documentary Catching the Sun.